Aliki Atrium is a beautiful oceanfront condo option along the white sands of Ormond Beach. In this building you will find only 27 exclusive units, many of which are two-story and have amazing floor to ceiling windows to allow the brilliant Florida sun to illuminate your home. Each unit has sprawling oceanfront balconies accessible from every room with breathtaking views of the Atlantic coastline. Enjoy the comfort of the large master suites and master bathroom with separate garden tub and walk-in shower. 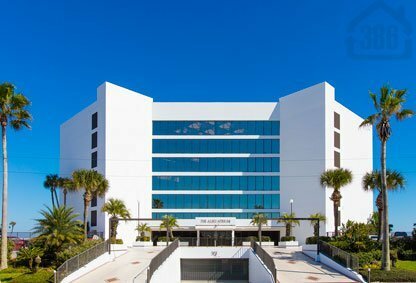 The building provides residents a lush tropical atrium, secured building access, underground parking, fitness center, social room, an oceanfront pool, and, of course, direct beach access for days of relaxation under the sun. Call us today for availability here, or at the many other great condos in Ormond and Daytona Beach. Pet Policy: HOA approval req.